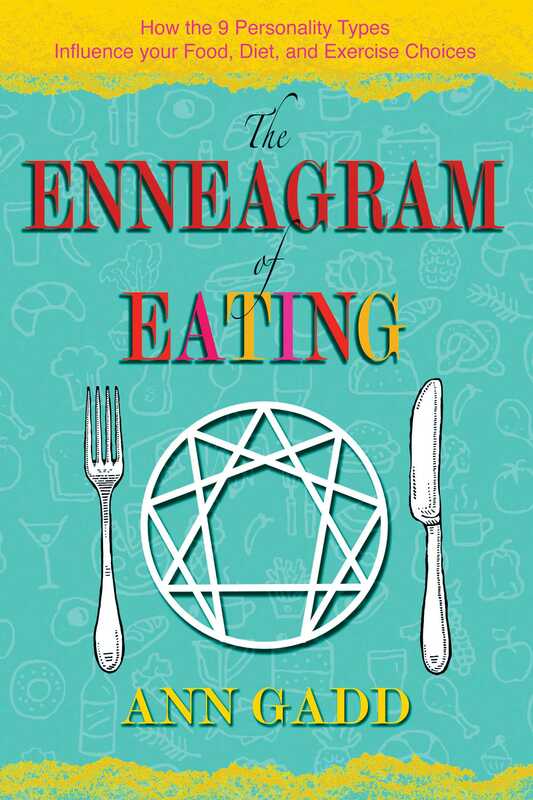 In The Enneagram of Eating, Ann Gadd reveals how the well-known Enneagram system of personality types can explain your relationship to food and exercise. Including an easy Enneagram food-personality test to find your type, she devotes a full chapter to each of the 9 personality types. She provides an understanding of each type’s emotional eating triggers, including the emotional wounds and childhood patterns that formed them, what exercise regime will keep you motivated, why you entertain the way you do (or don’t), and the best methods for weight loss or gain. The author examines how we view our bodies, how we deal with food and eating, our behaviors when dining out or hosting a dinner party, possible addictions, and where our enthusiasm (or lack thereof) for exercise originates. Stressing how our emotional health affects our physical selves, the author provides examples of healthy and unhealthy development within each type. Gadd shows how knowing how each type reacts around food will make it easier for us to alter our subconscious programming and become not only physically, but emotionally healthier. Offering fascinating insight into our subconscious attitudes toward food, she aims to inspire you to become more aware of your approach to eating in general, so you can develop healthier and happier ways of being. This fun test is designed as a rough guide to your Enneagram type. Our Wings, the numbers we move toward or away from, whether we are Social, Sexual, or Self-Preservation types, and most importantly, our level of integration, will all affect how we reply to the questions, meaning that the test should give us an idea of the Enneagram area we need to look in, but not always the actual type. The best way to find your type is to feel what type resonates most with you. Ask friends, family, colleagues, or partners for their opinions. Sometimes others see things of which we are unaware. Read other books on the Enneagram, explore the many on-line resources available and do some of the more in depth tests until you really feel you can relate to your type. Sometimes we are the type we are least drawn to. For each of the following sentences circle the statement that resonates most with you, a, b, or c. Each of these statements corresponds to one of the nine Enneagram types. If none of the statements in a sentence apply to you skip that sentence. c. think, Wow! So much choice! b. somewhere that’s not too pricey - I don’t want the office to think I’m wasting money. a. don’t know the meaning of “lose.” If it ever happens, then revenge is on the cards. Use the answer key above to see which type applies to you for that sentence. (E.g. Q1: If you answered “a” then the answer key shows that “a” corresponds to a type Four, “b” to a type One and “c” to a type Seven.) Tally your totals for each type in the boxes below to see which type/s score the highest. This will give you an indication of what type you might be or which areas of the Enneagram you might want to look into.